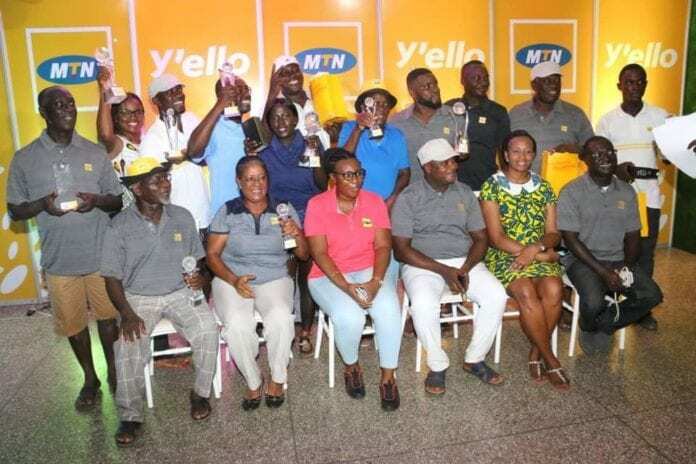 Albert Agbo, Floria Hurtubise, Bliss B. Ayivor, finished first and second in their respective groups at the just ended MTN CEO Invitational Golf tourney held at the Tema Country Golf Club. Agbo, brushed off competition from his competitors in the Men’s Group A, to a net score of 66 off handicap 14 to place first and was followed by Godwin Asem, who shot to a net score of 69 off handicap 2 while Samuel Tetteh picked a net score of 69 off handicap 7 to occupy the third position. He said “we do so because we want our customers to be bold in the digital world”.